I love this sink, would buy it again in a heartbeat. It fits that old world charm I wanted. 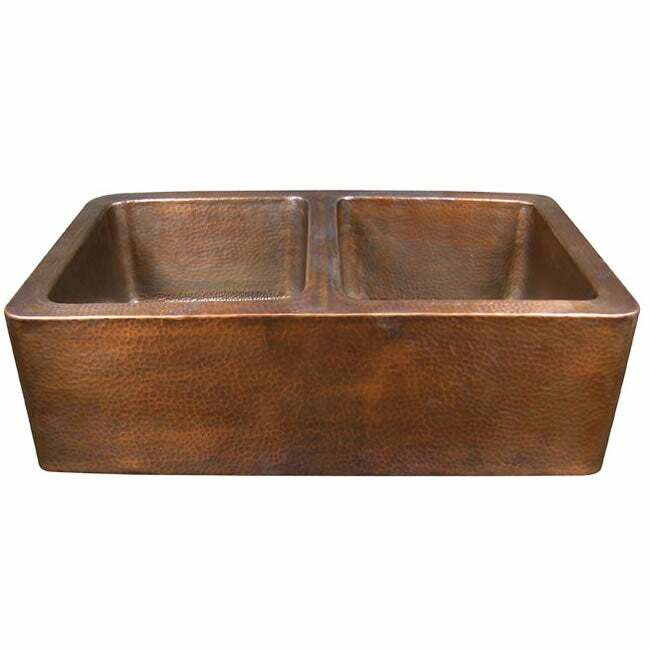 Beautiful hammered copper farmers sink paired with an oil rubbed bronze faucet. Both items superior quality. Shipping and packaging - both excellent . This was our first time to shop Overstock, but will not be the last. The whole process was so easy. The sink was exactly as described online and met all our expectations. We got the perfect sink for our home. Really beautiful sink. WE love it. We had this sink installed when we built our home 4 months ago. We love it and get compliments all the time on it. Great buy! One of my favorite pieces in my kitchen! "There was no strainer or basket included. Recommendations? In my opinion this should be noted on the specs page." We do not provide strainers or baskets. "Can this sink be unermounted and is it copper welded only"
Hello Copper sink question, I'm sorry this sink can not be under mounted. Apron of the sink is welded.Have a great day! "What gauge cooper is the sink made with?" 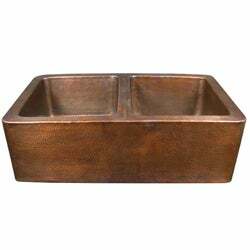 Thanks for your inquiry, this sink is made out of 16 gauge copper. Hope this info helps. "Can you please tell me the interior dimentions ?" Each bowl''s interior dimensions are 17 1/2 inches high x 14 1/2 inches long x 9 inches deep. "can you tell me who the manufacturer of this sink is. Also is it made with lead free copper?" Unfortunately, we cannot disclose the manufacturer''s information for this sink. We don''t have any indication that the item contains lead. It is made of copper.